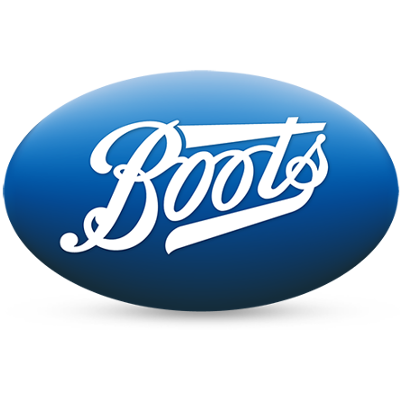 Boots Extracts has been developed to make a difference. 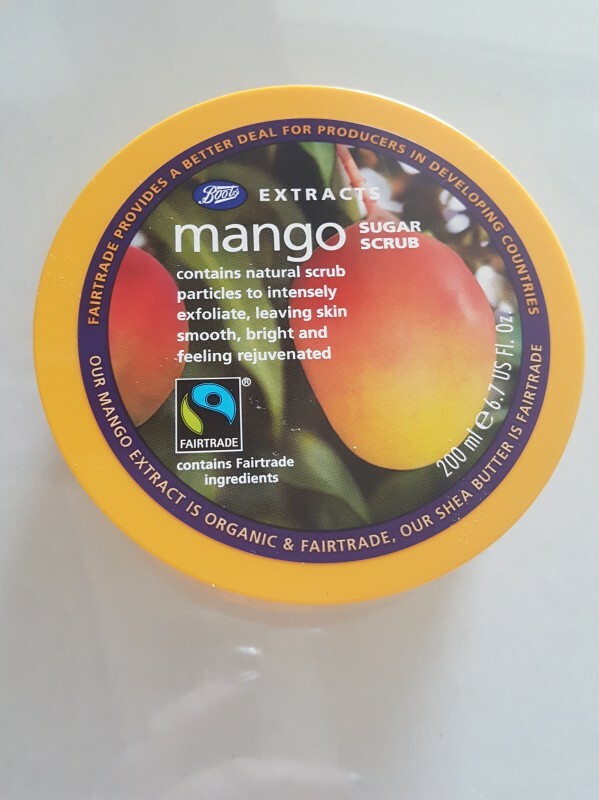 Boots Extracts have created this wonderfully indulgent mango sugar scrub with Fairtrade certified ingredients.Boots Extracts mango sugar scrub contains natural scrub particles to intensely exfoliate, leaving skin smooth, bright and feeling rejuvenated. Boots Extracts mango sugar scrub contains organic mango extract, is sustainably sourced & fairtrade. 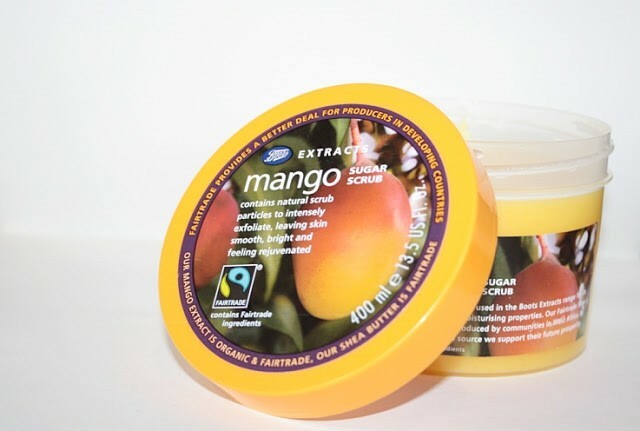 Apply a small handful of Mango sugar scrub to damp skin to clarify and buff the body, rinse thoroughly. 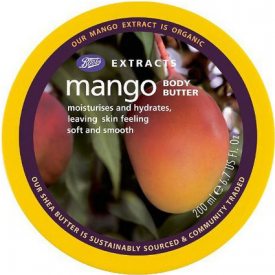 For optimum results, moisturise newly smoothed skin with Boots Extracts Mango body butter. Contains 9% * ingredients traded to Fairtrade standards. Leaves skin feeling silky smooth and moisturised. Not expensive especiallywhen bought in a gift set. If not washed off fully can leave a slight residue on the skin. This is a firm favourite in my house both myself and my daughter almost 13 use it everytime we shower. 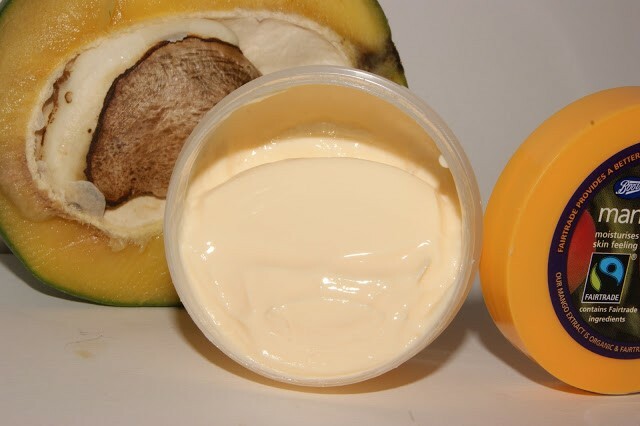 The Mango smell stays on your skin for hours and also makes you feel refreshed. It doesn't take alot so it lasts a while. I use it both before and after shaving to make sure my skin is free from any dead skin cells and also to make sure they're exfoliated really well preventing ingrown hairs. It also keeps the skin hydrated and moisturised and as I havexpected alot of dry skin and being bedridden it prevents me getting bed sores from being in the same position. Being bedridden causes the skin to dry out alot quicker and so keeping it hydrated and looking after my skin is very important and this helps me to do that along with my creams. The only thing you need to rinse your skin really well otherwise it can leave residue behind. Using Wark water and a natural sponge works well. After washing it off i found my skin still a bit sticky. This sugar scrub smells unbelievably good, leaves skin well exfoliated and super moisturised. Although I think it should be targeted specifically towards people with dry skin as yes it is thick, but if you don't use an excessive amount it works amazingly at leaving skin hydrated and healthy. Definitely going to be my saviour in winter when my skin needs an extra boost of moisture! Price point, but watch for Boots offers, usually 3 for 2, or gifts sets. This is a excellent scrub, one which my daughter loves, due to the Mango Extract. It's such a lush smell, with a great texture, creamy but with sugary granules for that rich scrub. The sugar is not harsh, and does melt away, so you only have a little residue to wash off. This is an easy to use scrub, no lumpy mess left in the shower, or bath. YOu can feel the creamy consistency working into your skin as the scrub removes that dead outer layer. After showering you will find that you most likely don't need any moisturising, my skin felt completely hydrated. 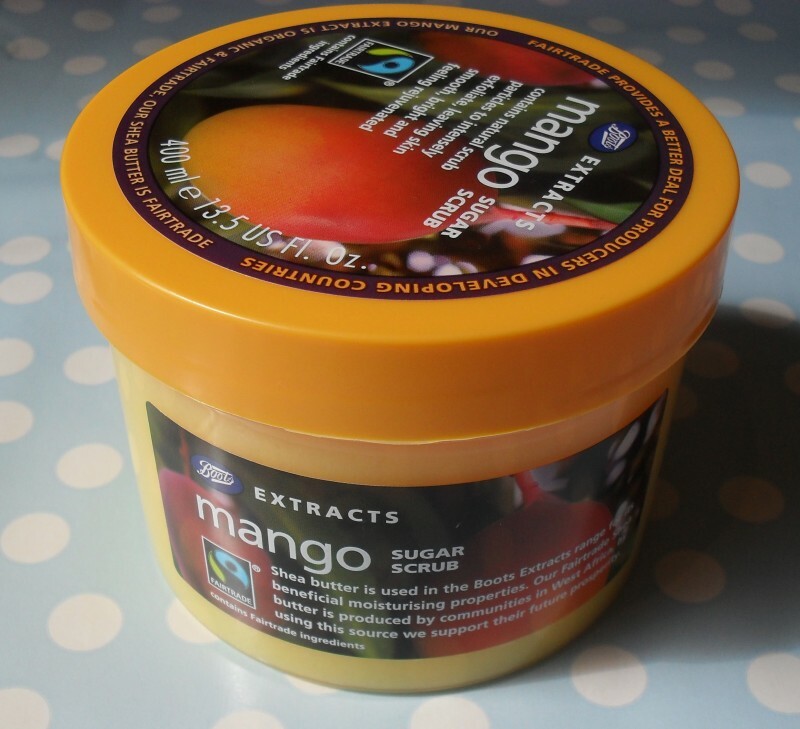 The Mango extract is organically grown &ethically sourced, one that works with Fairtrade. So you are getting the best product to use. It's a great range. and lots to choose from. I love this as it is so easy to apply then shower off with warm water. Afterwards my skin feels soft and well moisturised. The scrubby bits dissolve so are either salt or sugar, I think maybe salt as there is a salty taste I notice sometimes .I love using this on my hands as they are left well fed and soft. I use this at least once a day on my hands and I don't need to use so much hand cream as I used to..